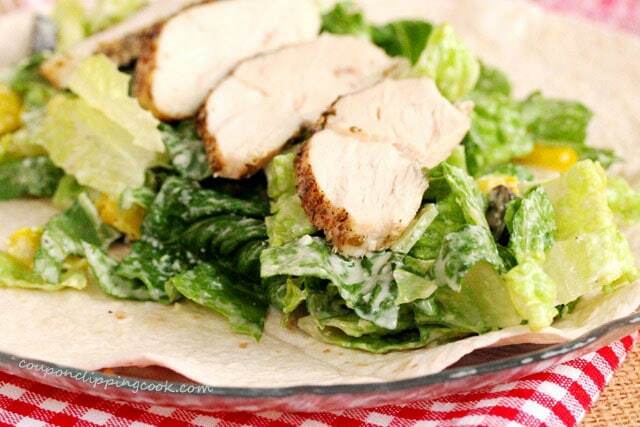 No silverware needed for this chicken Caesar salad. This chicken Caesar salad wrap is the best of both worlds, or maybe the best of three worlds…freshly baked seasoned chicken breast, Caesar salad and a scrumptious wrap all in one. You know it will taste good when each ingredient is good on its own. 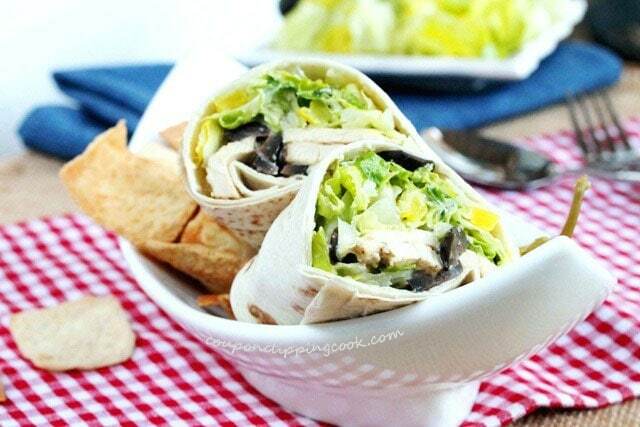 The chicken in this wrap is seasoned with oregano, salt and pepper…simple, yet adds even more flavor to the wrap. 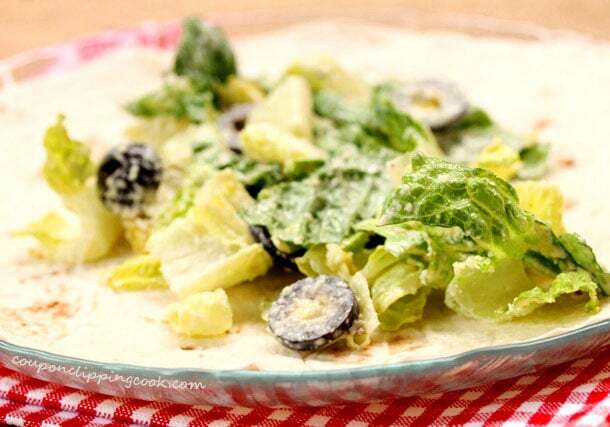 Prepared Caesar dressing is used to make the salad and more dressing is added inside the wrap. 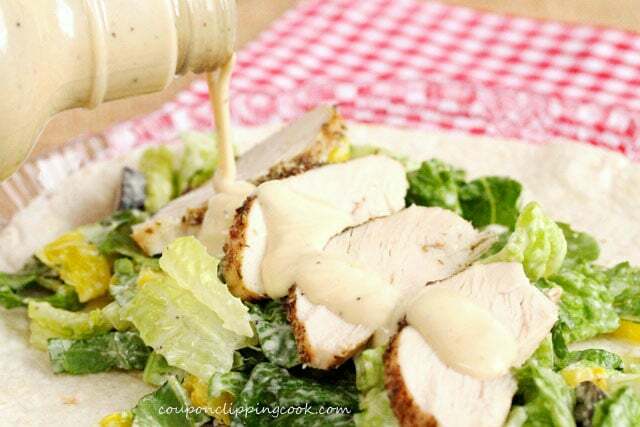 The Caesar dressing is so good alongside the chicken and salad in each and every bite. 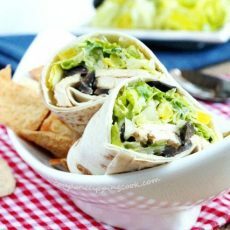 Serve this flavorful wrap for lunch or dinner with potato salad, macaroni salad, coleslaw, soup or by itself. When cut in half, this wrap also makes a delightful finger food appetizer. Just right for guests that want a little more to eat than a bite-size appetizer. 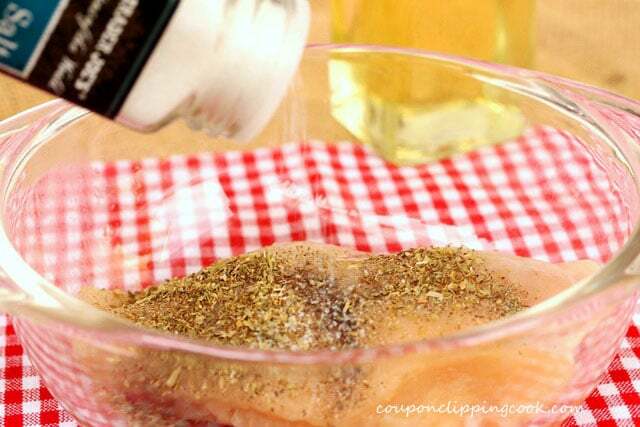 In a shallow dish or bowl, add the chicken breast and cover both sides with olive oil. 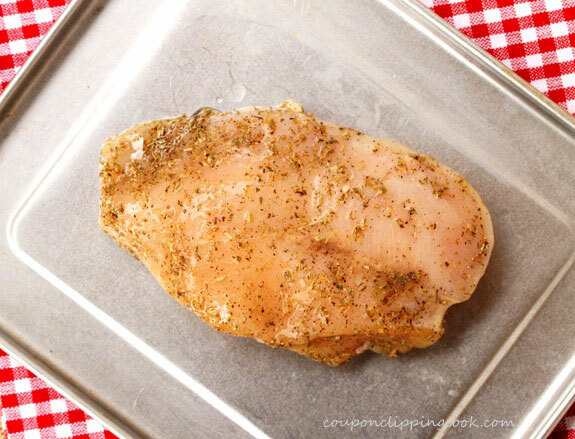 Transfer the chicken breast to a shallow casserole dish or small cookie sheet. 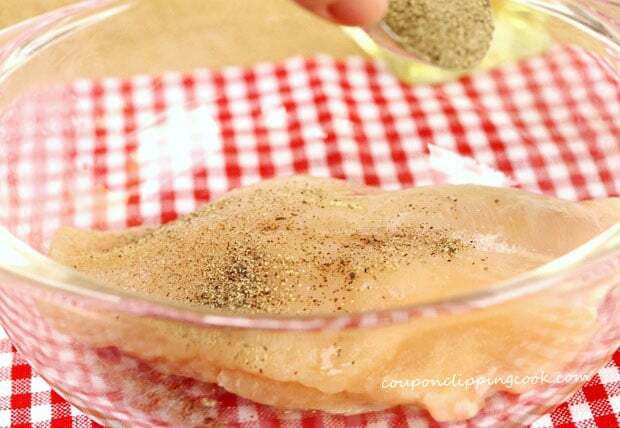 In a preheated oven, bake the chicken breast (uncovered) until it’s thoroughly cooked (about 30 minutes). 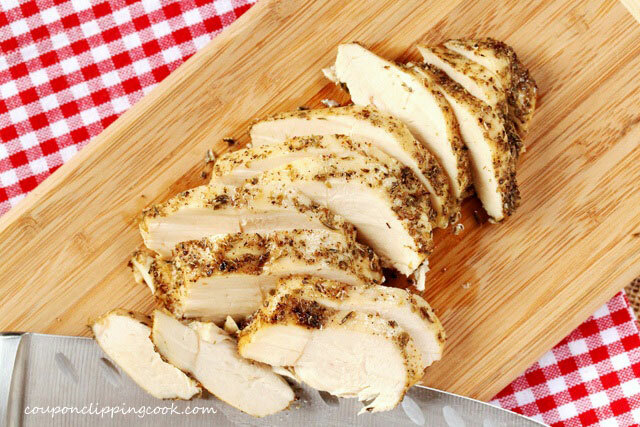 Once cooled, cut the chicken widthwise in ½ inch thick slices. 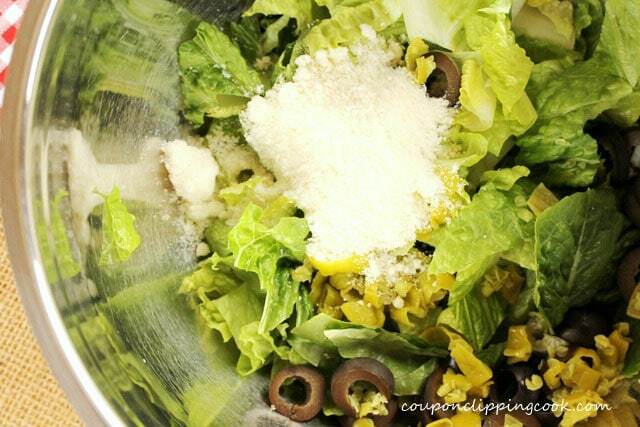 While the chicken is cooling, make the Caesar Salad. 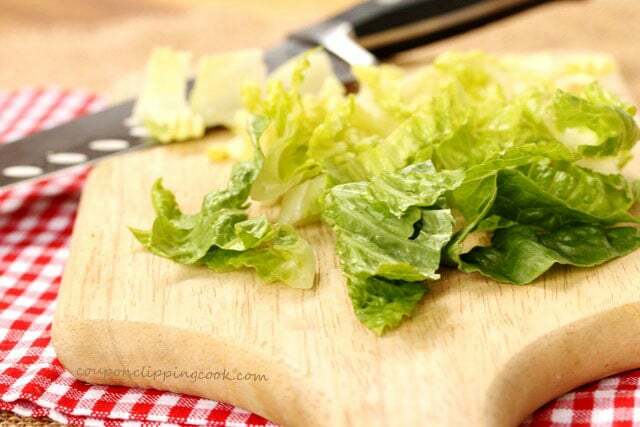 Chop the lettuce in medium size pieces. 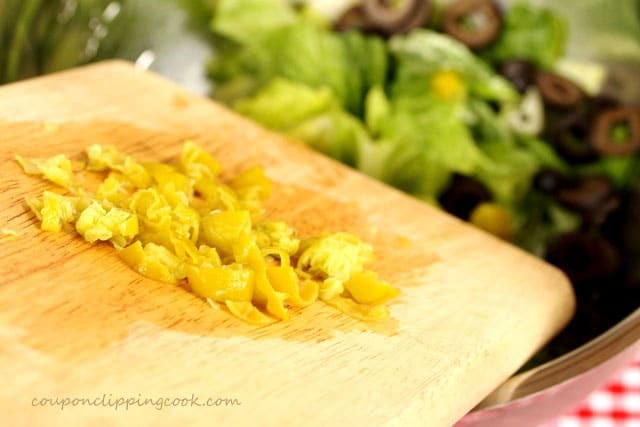 …mix together until the lettuce is lightly coated with the dressing. 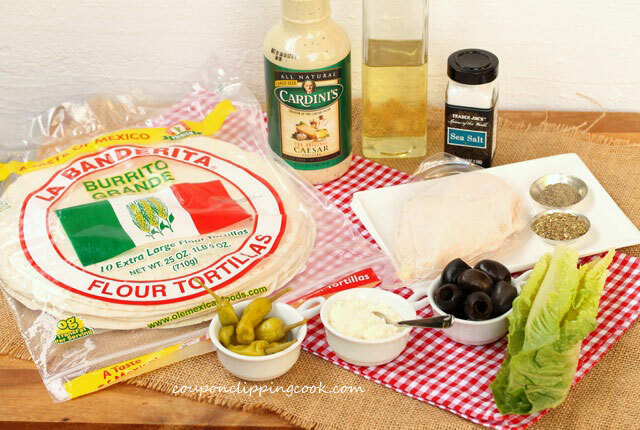 In the middle of each tortilla, add Caesar salad. Next, on top of the salad add sliced chicken. 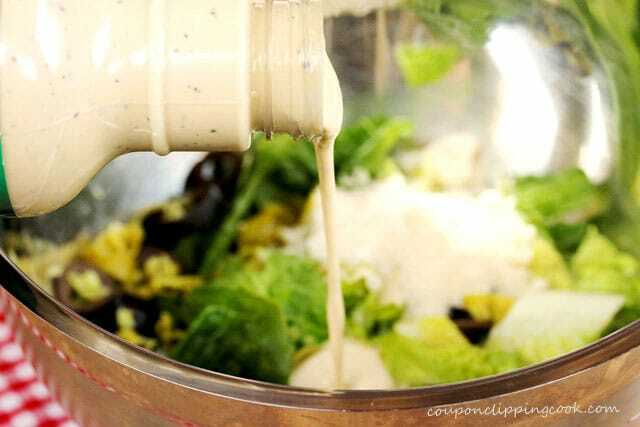 Drizzle more Caesar dressing on top. 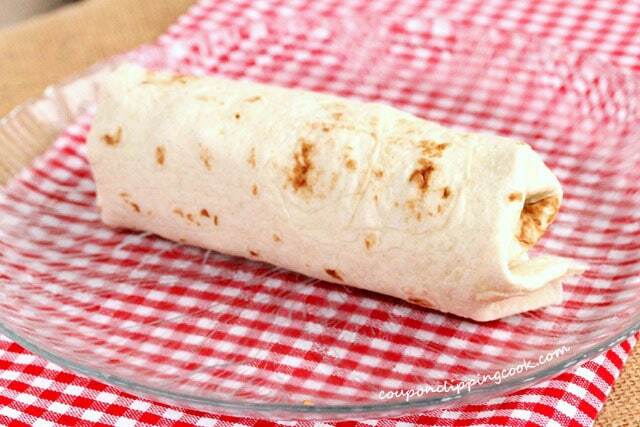 Fold the right and left sides of the tortilla inwards about 2 inches and roll up the tortilla like a burrito. Then cut in half, serve and dig in. 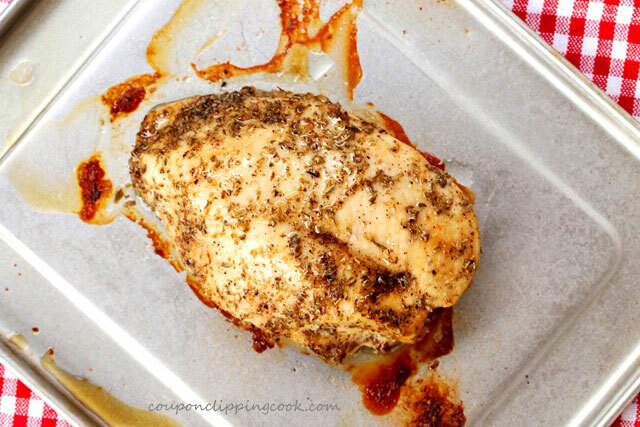 To the chicken breast, add pepper, oregano, and salt to both sides. 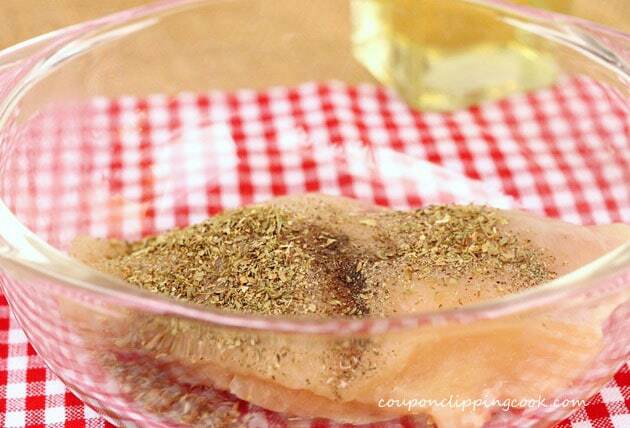 In a preheated oven, bake the chicken breast (uncovered) until it's thoroughly cooked (about 30 minutes). 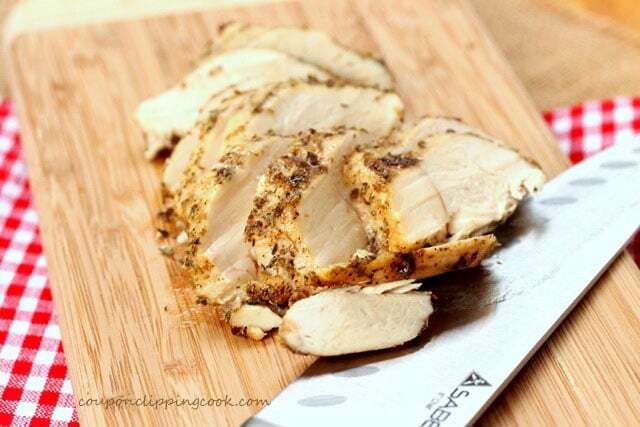 Once cooled, cut the chicken widthwise in ½ inch thick slices. Set aside for a moment. 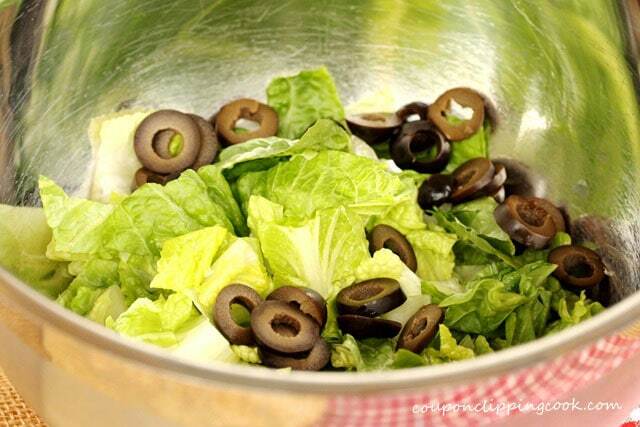 To a large bowl, add the lettuce, sliced black olives, pepperoncini, and Parmesan cheese. 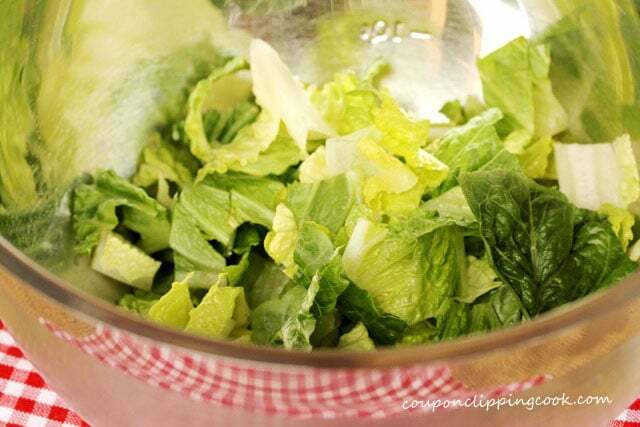 To the bowl, add 3 tablespoons of Caesar dressing and mix together until the lettuce is lightly coated with the dressing. 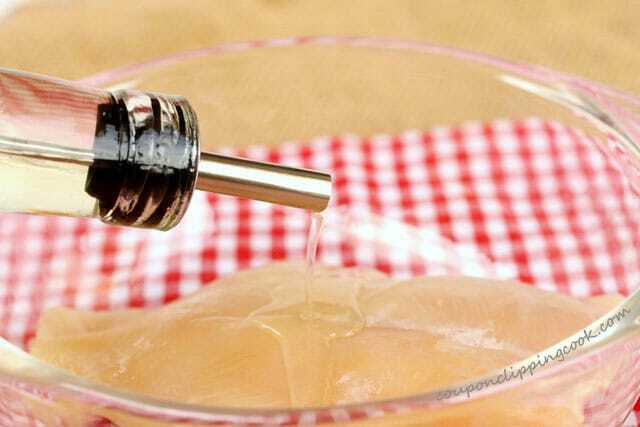 Next, on top of the salad, add sliced chicken. 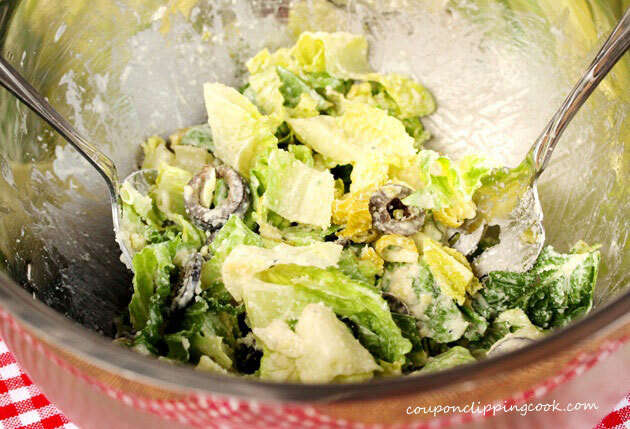 Drizzle more Caesar dressing on top. – thanks, this was really good! Hi Jules, so glad you liked this. 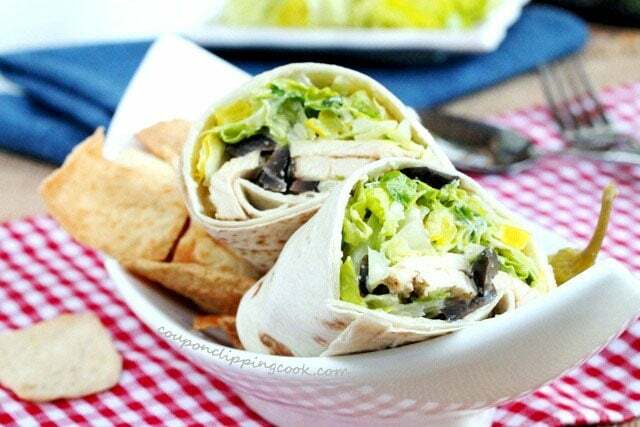 And the rotisseri chicken sounds like a great idea for these wraps. I love the taste of that kind of chicken. Thank you for letting me know and have a great day. It’s Caesar. You got it. That word is totally one of my pet peeves!! Like when you go out for lunch and “caesar” (“cesar”– noooo!) is spelled wrong on the specials board… makes me wanna carry chalk in my pocket. These look great– that chicken is GORGEOUS. Hi Heather, I’m the same way when things are spelled wrong. Thank you for the kind words. Have a great weekend! This sounds like a tasty idea. Your pictures look so enticing! Hi Megan, thank you! And thank you for stopping by! We’re having a party at Tumbleweed Contessa – What’d You Do This Weekend? These would be a great hit with everybody. Hope you will bring them over. Hi Linda, thank you for stopping by!